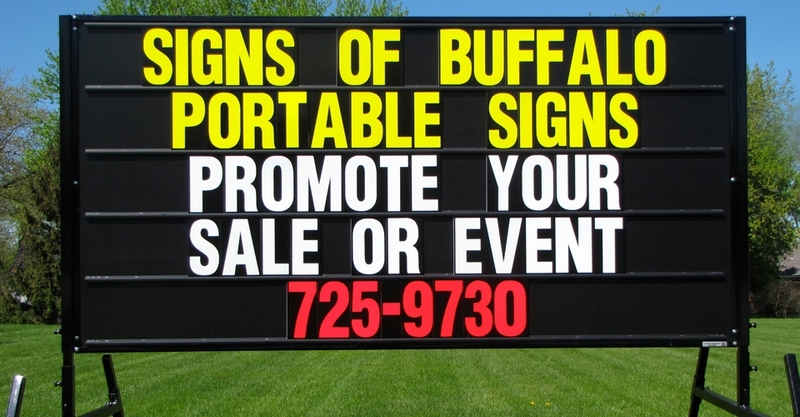 Portable sign rentals can be used to promote your event and brand at the same time. 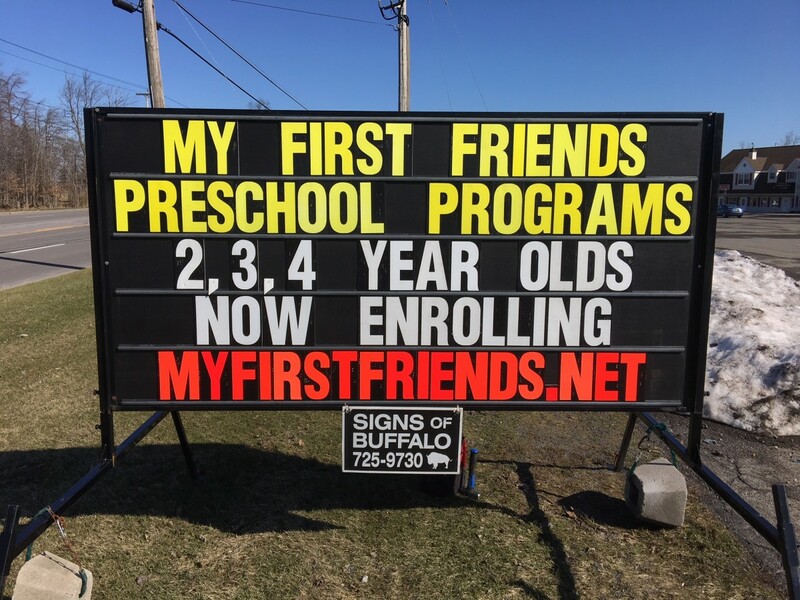 We use large signs that allow you to use more words. 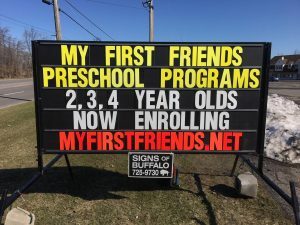 Visit our gallery to view more sign examples.